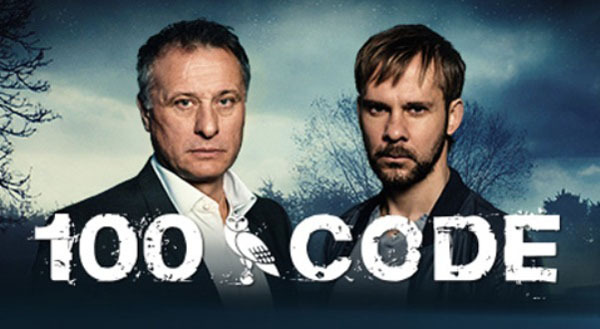 On May 29, the new WGN America drama 100 Code will debut at 10 PM. This tense crime thriller follows the hunt for a serial killer who targets young, blonde and blue-eyed women, found dead in fields of flowers. Through a special arrangement with the NYPD, Detective Tommy Conley (Dominic Monaghan from Lost) is permitted to observe and advise the Stockholm PD, as he suspects a connection between a series of murders in New York and a death in Sweden. Upon arrival in Stockholm, he is paired with Mikael Eklund (Michael Nyqvist from Abduction and John Wick), a Swedish cop with an aversion to American culture. Both detectives despise each other, but the two are quickly forced to resolve their differences as the mysterious killings continue. With the vicious killer still at large, Conley and Eklund embark on a hunt that leads the duo down a path of no return.